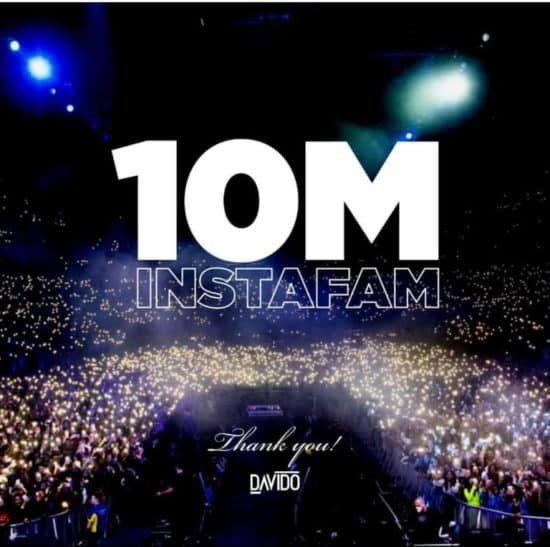 Award winning musician, David Adedeji Adeleke , a.k.a Davido has hit 10 million followers on Instagram. Instagram is a social networking application that enables users capture, share and edit photos, videos and messages with friends in a creative way. 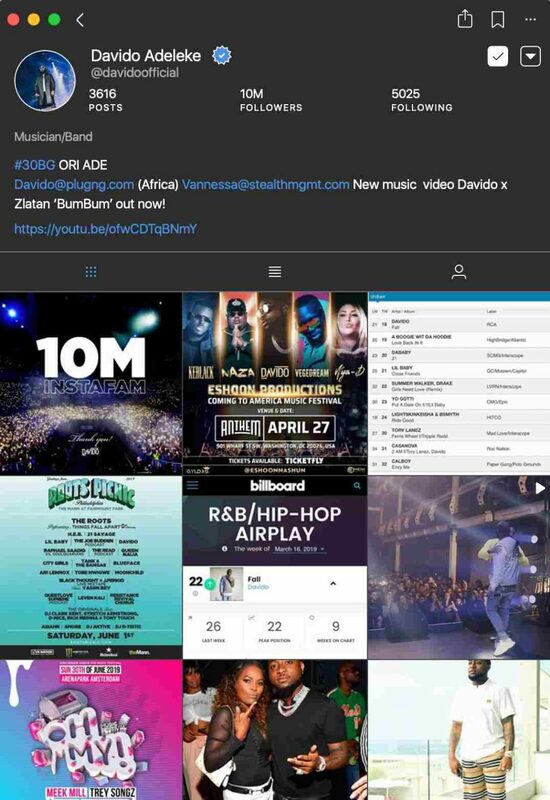 He was the first Nigerian artist to reach 1 million, 2 million , 5 million and 9 million followers on Instagram. The Daps-directed video had made Nigerian YouTube history as the most -viewed Nigerian music in recent times. Also, his song, ‘Wonder Woman’ was listed as one of the hottest tracks from across the African continent by Apple Music.